The Hyatt Place Raleigh West is a six story, 132 room, LEED certified hotel located in the Raleigh Corporate Center Park near one of the hottest new areas in Raleigh called "Inside Wade." The stunning two story gallery area enhances the guest experience while enjoying the relaxing music, aromatic scents and pleasing decor. Located minutes from PNC Arena, Carter-Finley Stadium (North Carolina State University), the North Carolina State Fairgrounds and Hunt Horse Complex, this property offers complimentary breakfast served daily along with a variety of delicious lunch and dinner items available for purchase 24/7. The hotel maintains 5,400 square feet of meeting/banquet space which includes a 1,700 square feet pre-function area. 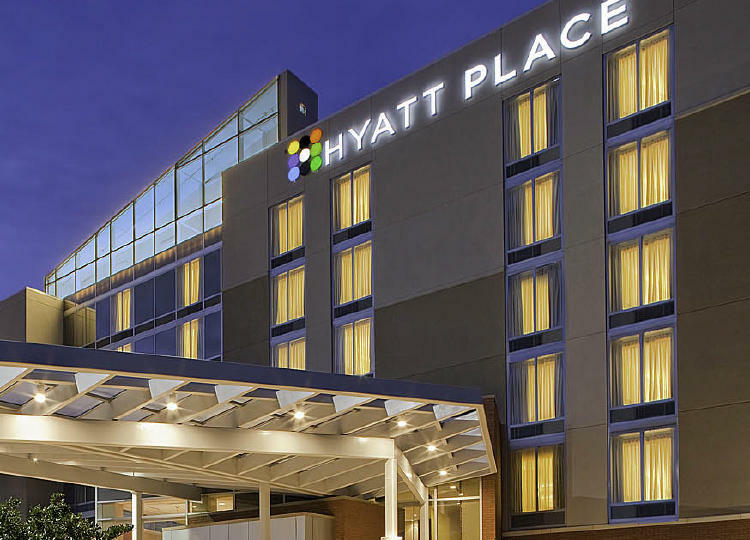 The hotel is just minutes from I-40 and RDU International Airport with easy access to a variety of restaurants, entertaining/sporting venues, shopping malls, museums, major medical centers and N.C.'s finest colleges and universities.